The emerging South East Asian nation of Myanmar has been on the radar of international franchisors for the past five years but they have yet to make a big impact on the ground and there are still huge opportunities for growth, according to franchising expert Michael Sherlock – image Shwedagon Pagoda Temple, Yangon. 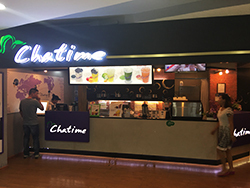 Michael, visited Myanmar in 2017 and reports sighting only a limited local presence from large franchise brands, although he suspects plenty of preparatory work on future expansion plans are also taking place. Myanmar and its major city Yangon (formerly Rangoon) have been widely identified as a new Asian franchising frontier for the five years since the country emerged from military dictatorship and began opening up its economy to the world. 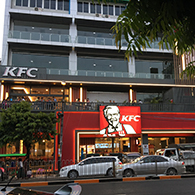 However, international franchises that are up and running in Myanmar remain few and far between at present. Michael’s insights on Myanmar update those previously provided by Albert Kong, the Singapore-based CEO of Asiawide Franchise Consultants, who believed the big global franchise brands would ‘tip toe’ in to the country. Myanmar is seen as ripe for franchising growth due to its emerging economy and strategic South East Asian position bordering Bangladesh, India, China and Laos and just a short flight from the major franchise hubs of Bangkok, Kuala Lumpur and Singapore. However, like all developing markets it also presents significant cultural, logistical and business challenges, meaning franchisors must have well prepared growth strategies prior to entry.